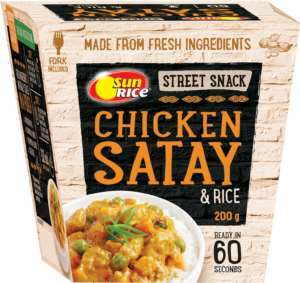 SunRice has launched a new range of ready-to-eat snacks called ‘SunRice Street Snacks’. The new products are inspired by street food from across the world. Street Snacks come in a foil pouch placed in a takeaway style box which includes a fork. Consumers are only required to heat the food in the microwave for one-minute. Each variety contains real pieces of meat, vegetables, spices and sauce. No preservatives are included in the snacks. SunRice Street Snacks can be purchased now at Woolworths, Coles and independent supermarkets. The recommended retail prices is $3.49 for a 200 gram box. Sanitarium’s So Good soy milk has undergone a package makeover.